Our friend Gavin Gear of UltimateReloader.com recently tested the nicely-crafted Buchanan Hand Press. 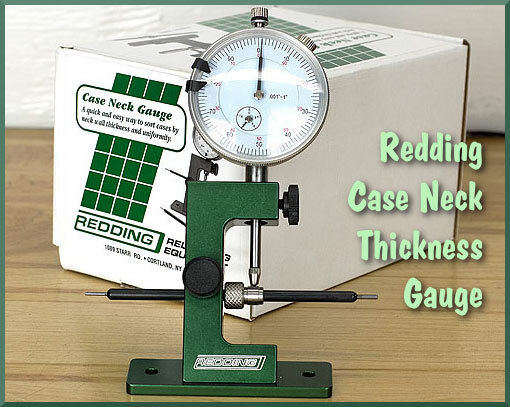 This symmetrical, twin-lever tool can handle pretty much any sizing and/or seating task as it offers plenty of leverage — even for full-length case resizing. Crafted by Buchanan Precision Machine, this Hand Press has a central mount for the die on top with a conventional shell-holder at the bottom. There is a handy spent primer catcher, plus an optional Lock-N-Load die insert adapter. This press is well-built, but the $245.00 price is steep. You can buy FIVE Lee Hand Presses for the cost of this Buchanan. For more details, check out the full Buchanan Precision Hand Press Review on UltimateReloader.com. Share the post "Buchanan Hand Press Review by UltimateReloader.com"
In the YouTube video embedded below, our friend Gavin Gear of UltimateReloader.com shows how to make your own case lube using simple, inexpensive ingredients. As recommended by the 6.5 Guys, this Liquid Lanolin + Isopropyl Alchohol mix works well and is very cost-effective. You can make a pint of this home-brew Lanolin case lube for a fraction of the price of commercial aerosol spray lubes. Share the post "Make Your Own Lanolin-Based Case Lube"
In this DVD, Gavin Gear guides you through the entire process including selecting components, acquiring and using the necessary tools, assembly steps and details for each component, and even mounting a scope. Building an AR-15 can be overwhelming, but with the right guidance and help it’s not difficult and is a lot of fun. With this DVD you’ll be able to build your AR-15 with confidence. Right now, as a New Year’s promotion, the AR-15 Build DVD is on sale for just $9.90 (plus $3.80 shipping/handling). This DVD can pay for itself many times over by showing you how to do your own gunsmithing (and get quality AR components at attractive prices). Share the post "Building an AR-Platform Rifle DVD on Sale"
What do you hope Santa delivers this Christmas? 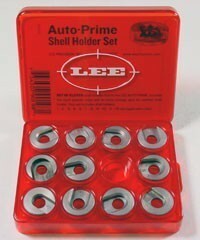 Our friend Gavin Gear over at UltimateReloader.com has some gift ideas that hand-loaders can add to their “wish lists”. Special Tools — My Dad used to say: “You’ve got to use the right tool for the job”. I agree, and some times that means having a collection of special tools. There’s nothing more satisfying to me than the efficiency, effectiveness, and precision of having the right tool. There’s some ideas for you. Get your “wish lists” sent off while there’s still time for your presents to get ordered and shipped! Share the post "What’s on Your Christmas Wish List?" Share the post "Power of the Progressive — When You Need the Speed"